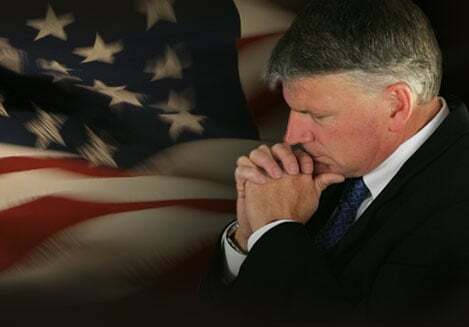 Some of the people working in the Obama administration and in the White House are trying to “completely secularize our military” and are “hostile to Christians,” to the point that they “are anti-Christ in what they say and in what they do,” said Christian evangelist Franklin Graham, the son of world-renowned preacher Rev. Billy Graham. Graham said, ““No question. And my son just got back from his seventh [military] tour this weekend. So, I love the military. There has been huge pressure on the chaplains in our military – and our chaplains have been a wonderful thing for the military. But there is a move to get rid of the chaplains in our country, and to completely secularize our military. Actually, they are hostile to Christians. Franklin Graham is president and CEO of the international Christian aid group Samaritan’s Purse. He also oversees the Billy Graham Evangelistic Association, started by his father Billy Graham, who is 95 years old and perhaps the most well-known Christian evangelist of the last 50 years. Franklin Graham, 61, is married, has five children, and lives in Boone, North Carolina. In addition to his Christian ministry work, he also often speaks on cultural and political issues. He has been a strong critic of radical Islam.